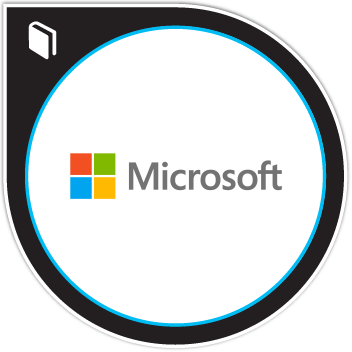 Microsoft Digital Transformation: Communications & Media is a 5-week online program designed to increase participant’s industry expertise & ability to partner with customers on their digital transformation. Participants who complete this program will be better equipped to propose Microsoft solutions that create value and meet the challenges that telecommunications, media, & cable executives are facing within their organizations. Earn a passing score on a peer-reviewed final assignment that required analyzing a key customer's challenges, determining the customer’s greatest opportunity for digital transformation, recommending a solution, creating a compelling value narrative, and mapping out the orchestration for the deal. Identify the major challenges and opportunities for disruption in the telecommunications, media, & cable industries & determine which of these trends are most likely impacting their own customers. Explain how digital transformation is manifesting itself in the telecommunications, media, & cable industries & where the greatest opportunities lie for their own customers. Tailor and hone their own digital transformation stories that illustrate what is possible for customers in these industries. Gain fluency in Microsoft’s prioritized scaled solutions.